The state of the real estate market is always a hot topic. It seems like opinions change daily and it can be difficult to gain an accurate understanding of the “big picture”. Kelowna Life Real Estate Group prides itself on having a deep insight into our local market. Our finger is always on the pulse, so when the time comes for you to buy or sell, we can provide you with the solution that maximizes your dollar and more importantly, your happiness. There was some concern in the past few months from some real estate investors when the Bank of Canada decided to raise interest rates at the same time as new regulatory changes were coming into effect. This could have caused stress for borrowers with uninsured mortgages and potentially cooled the market. The analysts that warned of a dip in the market said that a downturn would only last until early to mid-2018, which would then lead to a healthy rebound. Well, it seems that we have dodged any major downturns here on the West Coast and the market has continued to grow at a healthy rate. Of course we want to see growth in the market, however, when the market grows too rapidly, there is also cause for concern. So what is the current state of affairs? We are in, what some call, a “Goldilocks Moment”. Not too hot, not cooling, just right. This is great news for buyers, sellers, and the overall health of our industry. As 2017 comes to a close in such a state, 2018 already looks promising, not only in Kelowna but all across Canada. Here in Kelowna and the rest of the Okanagan Valley, we have our own unique lifestyle and way of life. When it comes to healthy, inner provincial competition between Kelowna and Vancouver, many citizens get excited and start to brag a little. At the moment, you have one more thing to brag about as Kelowna is offering higher returns on real estate investments than Van-City and shows no signs of slowing down with a plethora of new, low-cost developments. Colliers International is calling Kelowna, the “next great development hub”. Investors and homebuyers that are frustrated with Vancouver’s prices (and rain) are coming to sunny Kelowna to contribute to our continued real estate growth and resilience. On top of impressive growth rates and new developments, Kelowna is also a leader in the rental market for landlords. Kelowna has one of the lowest vacancy rates in Canada (lower than Vancouver’s rate for those keeping score). What does this mean for you as a local home buyer or someone that is looking to move to Kelowna in the near future? It means that purchasing now will be an investment that should grow at a steady, healthy rate for many years to come. Will Interest Rates Continue to Rise? It appears that home buyers that require a mortgage will be safe in the near future with all the signs pointing towards controlled interest rates. Interest rates will increase at a rapid rate when there is a large spike in wage inflation. Wage inflation has been kept in check in almost all international markets due to globalization and the global supply of labour. Prices can only increase if consumers buying power (ie wages) increases at a similar or greater rate. Another reason purchasing right now is a safe bet is due to the levels of household debt across the country. Canadians are carrying more debt than ever, and a large portion of that is high-interest debt, such as credit cards. If interest rates rose too quickly, a large portion of the Canadian population would be absolutely crushed by debt payments. By making smart investments (such as real estate) with debt instruments, you are saving for your future while being protected by those who are using debt in the wrong manner. Regardless of the state of the real estate market, when you are looking to buy or sell, you want a team that is going to work harder than the competition to find you the property of your dreams while keeping your wallet in mind. Let’s get started today! Send us an email or drop by our office on Harvey Avenue to grow your real estate portfolio! Building your own home definitely provides some unique peace of mind. Being involved with every factor from the ground up is one of the ways to ensure that all of your custom ideas are implemented. There is no better way to personalize your space or create your very own master plan than building your dream home. Lucky for us Okanagan residents, there are numerous vacant lots available within every possible surrounding. 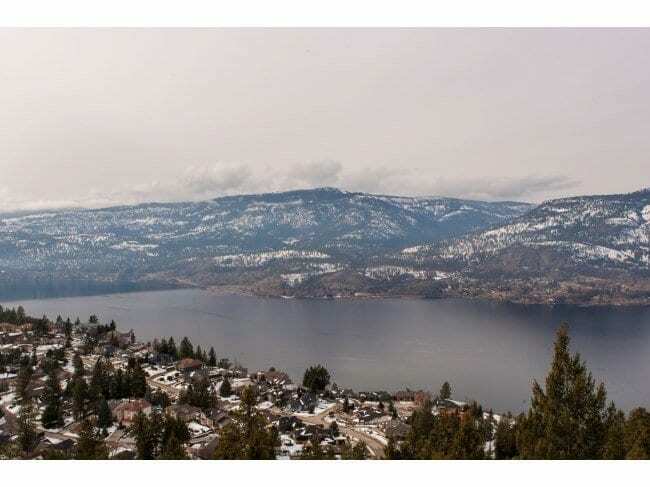 Whether you enjoy sweeping lake views, beach access, equine acreages or mountain vistas, there are plenty of different lots for sale in Kelowna. Glenmore is booming and older properties are abundant throughout the valley. 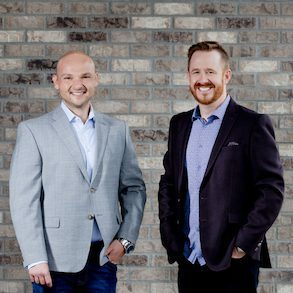 Kelowna Life Real Estate knows the benefits and offerings of each neighbourhood and is happy to help you transform your dreams of building your custom home into reality. While it can be tempting to completely renovate an existing property until it suits your needs; homeowners often run into difficulty and unexpected expenses when tearing down older structures. However, selecting your land, taking the views, sunshine, drainage and privacy into account prior to commencing construction, offers privatized selection unlike any other. Maximize your dollar and only pay for the features you will love to utilize when you enjoy the benefits of starting from the ground up. Being able to determine your layout can dramatically influence your future energy bills. Selecting the most efficient windows, doors, insulation and roofing materials during construction will save you in the long run. Strategically planting some trees or keeping as many existing ones alive and thriving on the property may help you reduce or eliminate your air-conditioning needs or save you from installing a heat pump; depending on your shade situation. From your waste to water consumption, appliances and heating and cooling requirements, there are a variety of green energy options to consider. Factoring these items into your budget from the beginning can often save copious amounts of time, energy and money. Planning ahead saves you from hiring someone to punch a bunch of holes in your new drywall down the road. Pre-wiring your home security alarm system and CCTV cameras will help you protect your investment. Use an internet connection to check in and see your home while you are away on vacation or at work during the day. Pre-wire your automated window coverings and shade solutions to help you keep your daylight ambiance at a comfortable temperature and avoid coming home to a sauna! Perhaps you enjoy the sprawling orchards of South East Kelowna or the openness of Lake Country; maybe you want to have a hobby farm and board your own horse for a change. Possibly, retiring beachside or within close proximity to a golf course is more your style. From compact view lots perfect for your summer home to sprawling acreages of possibility and every exciting lot in between, Kelowna Life and Home Real Estate can help you turn your dreams into reality. There are several methods real estate agents will use when valuing your home. To reach a compromise between the price the seller wants and the buyer is willing to pay, agents must use a somewhat standardized method for determining property and housing pricing. If not, then housing prices would vary wildly and become more like online classifieds for used electronics than a housing market. For the owner, their upkeep and maintenance of the home will begin to pay off massively. For the seller, having a home inspector to discover and uncover any hidden areas of damage or neglect is a necessity in finding the right home at the right price. For both the seller and the buyer, having a real estate agent that understands what you are specifically wanting in your home, and how or where to get that on budget, is a big part of their role and job in working with you. Let us walk through some of the specifications that agents inspect when listing or looking at a home. Determining the correct price for your home is scientific in method. There is generally an agreed upon or “market value” for homes in a specific neighbourhood which were built at roughly the same time and with relatively similar amenities and distances to shopping centers or other destinations. When an agent inspects a property to determine the price, they already have a strong inclination as to the price before even stepping inside. This is because of the market value which has been set by the ongoing sale and purchase of homes in that area of town. Be it an empty lot or a large scale home, Kelowna has a variety of properties that range from farmland life to city living. When evaluating these properties there are a few general details that will be front and center for every listing going out to the public. For starters, the simplest specifications of the home will play the largest part in determining the listing price: the number of bedrooms and bathrooms, as well as the square footage and number of floors are the most relevant to home buyers. Trailing those, the age of the house is of concern, as the older the home, the more renovation or repair costs will be incurred by the buyer, not much different from an aging car. Just like an aging car, if there has been many renovations or many repairs, that too can hurt the value. Keep in mind that while repairs may seem costly, they pale in comparison to the price fluctuations between locations and the age of the home itself. Hiring a professional to stage and list your property can go a long way in building the value of your home, or maximizing the offers you receive for it. There are minor touchups that may not cost you much in terms of money and can really help your listing. The “curb appeal” or how the home looks when viewed from the street is always a conscious thought of the buyer – so to get the most for your property, consider sprucing up the front yard, ensure there is no visible damage from the road, and take proper care to maintain your home when it is on the market. To get an estimate on your property valuation, fill out this form on Kelowna Life’s website! You can always get in touch by phone at 250.575.4300. Kelowna is quickly becoming one of the most expensive cities to rent in Canada. It recently ranked the eighth most expensive city in terms of rentals in Canada, with single bedroom apartments renting out at just shy of $1000. Job creation has been an objective of the city, erecting modern buildings such as the new Interior Health building in the heart of downtown, which is rumoured to be creating over 800 new jobs, driving rental prices up as tentative employees flock to the city, despite rental rates hovering consistently at less than 1%. The alternate option presented to aspiring Kelowna residents is to buy a home, which statistically proves to not only be more profitable, but in some cases, more affordable as well. Kelowna is seeing a rise in work & live construction, a blend of residence and lifestyle, with developments such as Sopa Square, and The Shore. These areas of Kelowna are a trendy blend of live and play, typically located in the Lower Mission area of Kelowna, and offer it’s residents not only a scenic area of town to call home, but also a stone’s throw from desirable amenities such as popular restaurants, bars, sports arenas and recreational centers. Because of the recreational offerings Kelowna has, trendy Microlofts are also becoming popular amongst new buyers, and builders are meeting the demand with a rash of new Microloft housing construction, trying to keep up with cities such as Toronto and Vancouver. Kelowna’s popularity as a final destination is on the rise and investors are keenly watching. Why rent when you can own? Don’t struggle with high rental prices and a competitive market- become one of Kelowna’s prideful home owners by calling Rob Nelson today and ENJOY KELOWNA LIFE as an established member of our community. Kelowna real estate market’s residential sales for the month of April 2016 have shown that units sold have jumped from 556 units sold in 2015 to 822 sold in the same month last year. The market is booming and both families, first time home buyers, and investors are jumping on board with both feet. It’s no question that Kelowna is an attractive place to live, with it’s four seasons, wineries, and ski hills in close proximity. The average price of condos for April 2016 are at $279,372, Kelowna is still an affordable option compared to the average price in the Greater Vancouver Area for the same month climbing to $475,000. The average detached home price in the central Okanagan is at $563,775 whereas Vancouver’s detached home price has climbed to $1,403,200. Wondering if Kelowna lacks the amenities of Vancouver? Kelowna’s expansion is undeniable and growth projection is showing no sign of slowing down. It has a rapidly growing downtown core, UBC’s sister university UBCO, a new interior health building near completion and a ranking as the third largest city in BC. Kelowna’s known for it’s appeal as a family friendly city with a well maintained small town charm. To make your move into the market and begin enjoying KELOWNA LIFE, call ROB NELSON TODAY.